When two journalists published the book ‘A President Shouldn’t Say That’ which quotes François Hollande disparaging judges, insulting footballers and revealing state secrets, Prime Minister Manuel Valls could not hide his “shame” and “anger”. The rare outburst by Valls against his deeply unpopular boss in October came as France’s ruling Socialist Party struggled to present a united front ahead of next year’s presidential election. On Monday, Valls ended weeks of speculation and declared his bid to be the Socialist candidate after Hollande backed away from seeking a second mandate. Valls now has to disentangle himself from Hollande’s deeply unpopular presidency, during which the premier spearheaded reforms to liberalise the labour market and talked tough on law and order – causing deep rifts within party ranks. Even if he can unite the party and shake off Hollande’s legacy to win the ticket, opinion polls predict that a second round in the spring presidential election will be fought between the far-right National Front’s Marine Le Pen and conservative challenger Francois Fillon. Even so, Valls said he relished the fight ahead. “I have this strength in me, this drive to serve my country,” Valls said as he announced his candidacy. Ma candidature est aussi une révolte à l’idée que la gauche soit disqualifiée de cette présidentielle. Cette révolte, je la fais nôtre. 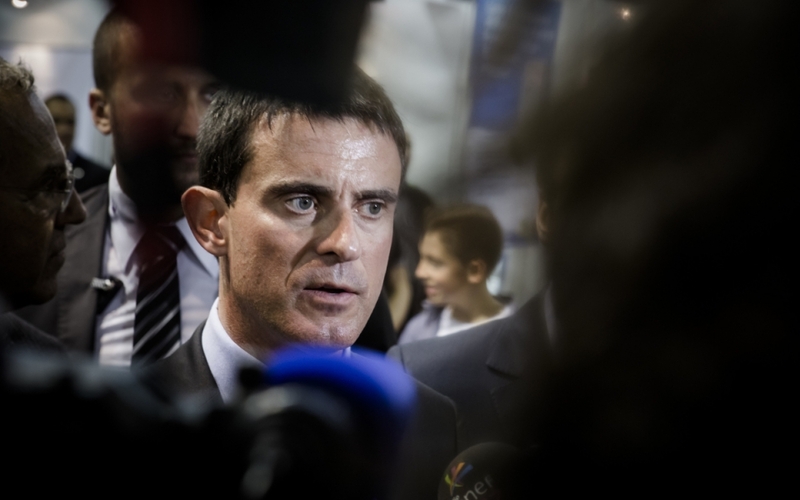 Valls said he was quitting Hollande’s government to focus on campaigning. He had served as Hollande’s prime minister since spring 2014 and before that as his popular “top cop” interior minister for two years. His straight-talking style and criticism of Socialist sacred cows, such as the 35-hour work week, won him the backing of those who want the party to be more centrist and pro-business, but the animosity of traditional left-wingers. Meanwhile his conservative stance on secularism and security – witnessed when he said this summer that the full body burkini swimsuit symbolised the enslavement of women – also caused ructions within the party. But on Monday, Valls said he would bring the divided party together. “In my drive to push my political family to evolve I have sometimes had harsh words, triggered debates, misunderstandings. That’s the left. There are debates, controversies. But I have always backed collective decisions,” Valls said. 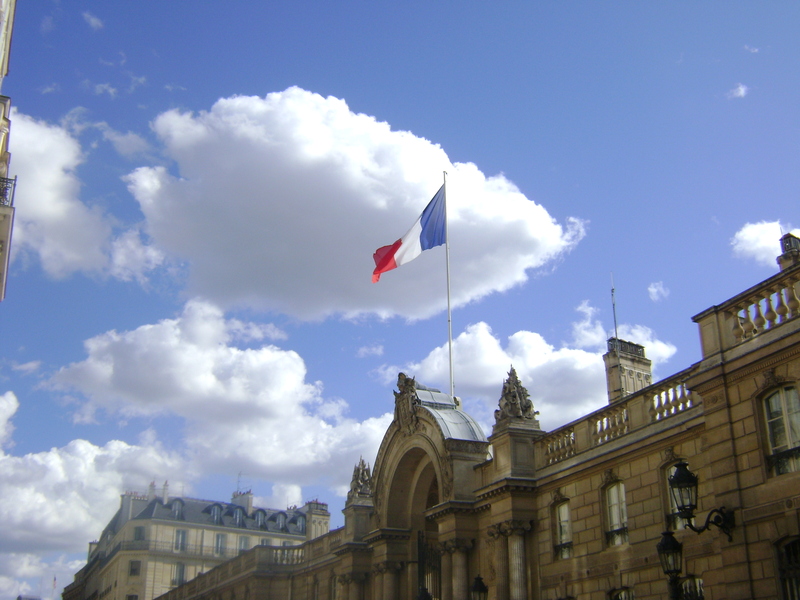 The French prime minister on Saturday (22 October) stressed the need for the left to unite ahead of next year’s presidential elections. 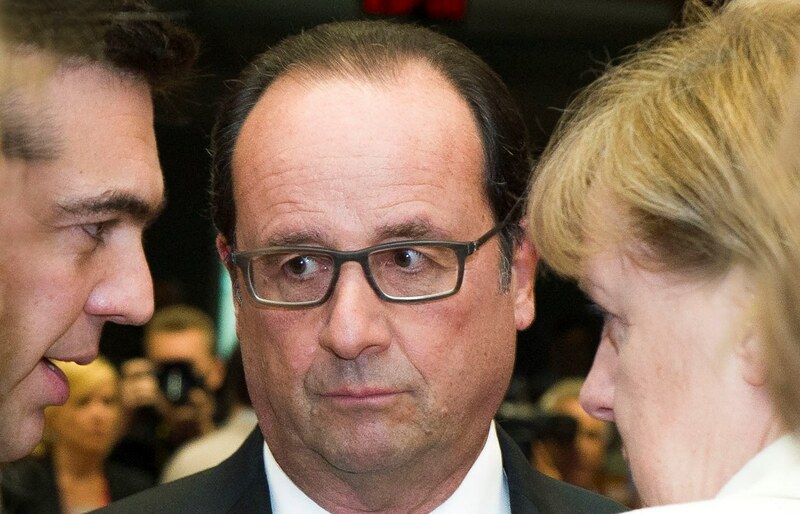 The popularity of Socialist President François Hollande is in decline once again. EURACTIV’s partner La Tribune reports. Valls has seen his own popularity fall over the past year as Hollande’s ratings tumbled to record lows. A Harris Interactive poll on Monday showed 69% of voters do not trust him. That’s better than Hollande’s 78% but hardly a good score. When Valls ran in the 2011 centre-left primary he polled just over 5% of the vote. Valls is not your usual high-ranking French politician. Born in Barcelona to a Spanish father and a Swiss-Spanish mother who later left a country ruled by General Francisco Franco, Valls would, if elected president, be the first French leader who was not born French – he took French citizenship aged 20, three years after joining the Socialist Party. “I want to give everything to France, which gave me so much,” an emotional Valls said. With a degree in history, he is also one of the rare senior French politicians who has not gone to the country’s elite ENA administrative school. As the implementer of Hollande’s pro-business reforms, Valls is tarred by the same brush as his boss in the eyes of some influential Socialist figures who have seen the lurch to the right as a betrayal of party values. 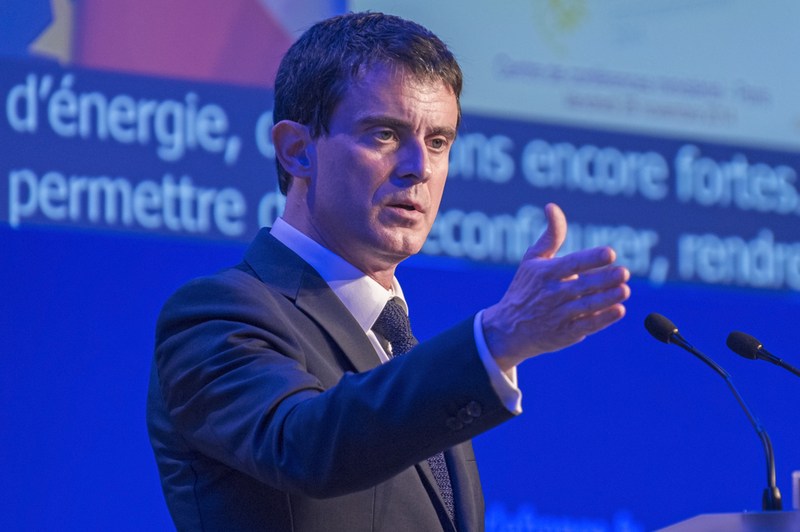 Valls has recently sought to soften his image and made proposals on a minimum guaranteed income for all and life-long training rights, policies seen as more left-wing and a sign he will seek to broaden his appeal in the run-up to the primary. His main rival in the crowded field of candidates for the January primaries will be Arnaud Montebourg, a leftist firebrand and former economy minister under Hollande, who quit the government over its move to the right. Should he win the ticket, another of Hollande’s ex-ministers, former investment banker Emmanuel Macron, could erode his support among centrist voters, while maverick Jean-Luc Melenchon would challenge for votes among traditional socialists. Both have said they will run in the presidential election, but without taking part in the primaries. A long-time mayor of Evry, a hardscrabble southern suburb of Paris, Valls has four children. His second wife is a violinist. From 1997 to 2001, Valls served as communications director to Socialist Prime Minister Lionel Jospin under President Jacques Chirac. He began his career as assistant to a lawmaker in 1983. It seems increasingly unlikely that François Hollande will have another shot at the French presidency; faced with dissent in his own ranks over proposed employment reforms and struggling in the polls, the incumbent has few options open. EURACTIV’s partner Tagesspiegel reports.